Today, we took the kids for a hike. At the top of the trail, Zainab said she wanted a moment to enjoy the view and the nature. Then, to our surprise, she clambered up to the top of the hill to a meadow off the trail and sat down and began her silent meditation exercise. Her explanation was that karate is not just something that is practiced on the mat, but throughout all parts of life. I was so proud of her and how she has matured through TKC. I just wanted to say thank you. My wife and I enrolled our pre-Kindergarten son in this academy-like setting in part because a close family member was attending, and in part because we were immediately struck by the professionalism and family-like atmosphere which Fariborz and the staff cultivate. The staff was extremely attentive and welcoming during my sons trial class, even assigning a black belt student to work with him even though he already had a years worth of martial arts training under his belt. This apparently is standard practice, at least for the childrens classes, with a highly experienced lead instructor always assisted by several more junior instructors, ensuring a very good teacher-to-student ratio. While the school is demanding in terms of its expectations for students, it is not abusive or irresponsible, unlike some other programs that my wife and/or I have witnessed. The teachers especially stress the character-building aspects of the martial arts and the self-confidence, poise, discipline, focus, knowledge, humility and other important traits which a martial artist should take "off the training mat." The childrens classes are organized by age and rank, which helps prevent wildly divergent skills and ages being thrown together, which can be frustrating and even dangerous for all involved. Furthermore, students are encouraged to achieve their personal best, and at least at the younger ages, are not competing directly with each other. The facilities are clean and modern, and the venue is quite spacious. The training itself is largely Hapkido based, although it is blended with aspects of several other styles in fairly progressive and from what I have seen, non-dogmatic style. While I cannot as of yet speak directly to the quality of the adult programs (my current training regimen is Traditional Wing Chun Kung Fu and Krav Maga), I would expect based on what I have seen that they are rigorous and well-run. The economics of running a successful martial arts business can be challenging and many instructors are either tempted or forced to take shortcuts, but none of that is in evidence at Team Karate Center. While the name to some might seem a bit generic, do not be fooled by this, for the leadership and students are passionate and committed, and I would not hesitate to recommend those interested in beginning, augmenting or continuing their training to take a trial class and see for themselves. My two boys got their junior black belts at TKC two years ago. 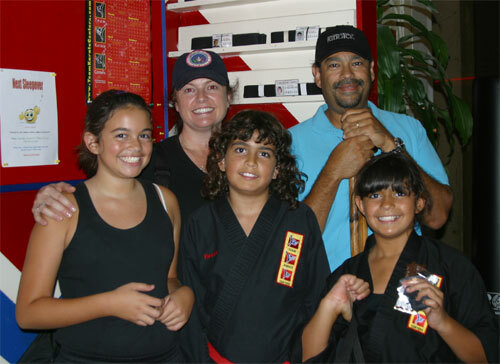 We did not think about them becoming black belt martial artists when they started at ages 5 and 7. We just wanted them in a good program that was fun for kids, got them moving and taught them some discipline. When they were days away from receiving their black belts I told Mr. Fariborz that if they absorbed and retained only 1/10th of what he aimed to teach them, from self-respect, self-confidence and discipline, to respect and tolerance for others, to the power of leading by example, being physically fit, and having a "can-do" spirit, they would be blessed. That in addition to all that they learned about the physical/mechanical aspects of martial arts. 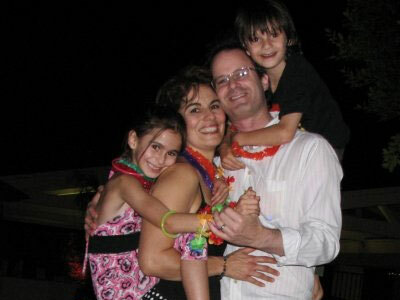 I want to tell you about how TKC has become a huge part of our Families life. When Reilly turned four years old, her Mom and I suggested that she try karate, she was already doing ballet and gymnastics. Oh I can not tell you how much she did NOT want to go to try it out, she was too young still to articulate why she did not want to go, just that she did not want to. After two or three months, she finally agreed to take one class. On that day, Reilly met Sensei Linda and her life changed forever. Linda made her feel comfortable and by the end of the first class, Reilly signed up for twice a week. Within 2 months, Reilly changed to three times a week and so on. Our baby was in the first group of Little Ninjas to go from white belt all the way through to achieve her black belt. We can never thank Linda enough for this. Reilly had two of her birthday parties back to back at TKC and wanted a third. Everyone has become like family there that Reillys relatives all live on the east coast so she wanted her TKC family to share her parties. The next week, Reilly started all over again with the bigger kids, we thought she may get intimidated, she did not. Reilly does get emotional if she does not do things right, or gets hurt, we let her cry, and the TKC staff helped her through those times., eventually you invited her to become part of your SWAT team, Reilly showed up every time, ready to do what was necessary, this included her learning to type you notes on her computer as to her progress. Eventually she passed and one of the proudest moments of her life is when she got to wear her blue uniform and help out on the mat.Reilly loves being able to asset in the classes and wears her uniform with pride each time. Then, Reilly took private lessons from you on Saturdays and your teaching ability helped her realize why she was doing the things she was asked, instead of just doing them. We watched Reilly grow from this experience and when she jumped from the youth class to the Teen class at 8 years old, she was ready to take on the world. Of course there have been ups and downs and setbacks to go with the advances, but when Jason tested Reilly for her red belt and gave her the nickname "Mighty Mouse" for her abilities at such a young 9 years old and 62 pounds, she got it.I think the last five years came together that night and Reilly is staggeringly focused on achieving her black belt this October. We all are grateful to You, Linda, Faramarz and all of the instructors that have helped Reilly get to where she is today as a martial artist and a person. In case you could not tell, Reillys proud father. Our family became involved with Team Karate centers when our son was just five years old and was invited to a birthday party at the studio that changed our lives forever.Right after that party Jared joined the little kids program and stayed there until he was promoted to the teen classes.He has trained consistently without stopping and now he is fourteen years old and a second degree black belt in the adult classes .His training inspired my husband Bill ,my daughter, Ava and I to join one after the other and ultimately we all got our black belts and became a martial arts family.we have been changed by the experience and as parents it has enabled us to stay connected to our kids and to have a common family interest together which also fostered individual growth. It is true that we have concentrated on fighting and primarily wanted to be able to defend ourselves and what we got as a bonus were some very useful tools for living. Mr.Fariborz has been our master instructor and has enabled us to learn mixed martial arts and has introduced us to concepts and people that have been valuable and enriching .Although all of us in our family have different goals and aspirations for practicing martial arts i think we could all agree that the experience has been one that has shaped each one of us in a positive way. Thank you for being an outstanding example to my children of a kind and giving person. The way you teach the children Karate at Team Karate Centers shows passion, dedication, and patience. You keep them active, involved and engaged both mentally and physically. My children have so much fun every day and look forward to their time at camp. 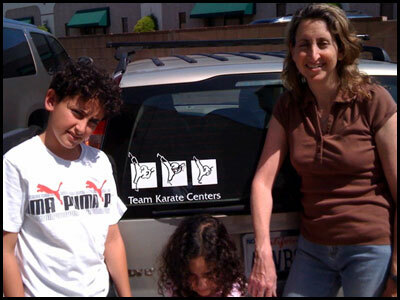 Thank you for providing a safe environment for my family to enjoy and learn about Karate. Keep up the good work. Hi, i'm Riley, Reece and Avas Dad, David. I thought that I would just say a little about what I, as a parent came away with from the Black Belt test. I believe that my kids realized that their limits are far higher than they thought. I see that they understand that being a Black Belt is more than just a belt and lessons and tests. I hope they understand that Black Belt is a way of living, not just a way of life. They understand that they will always be learning, provided they leave themselves open to the knowledge that is available to them from their instructors, classmates and parents. Last, I believe profoundly that their experiences will influence all that they do for all their lives. 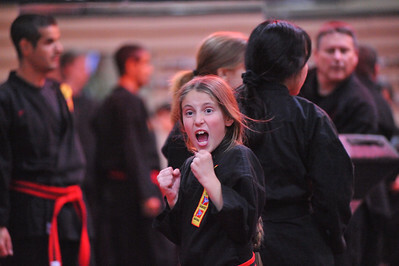 View what others are saying about our kid's martial art classes. View what others are saying about our adults's martial art classes. View what others are saying about Sensei Fariborz. View what others are saying about Special Winning Attitude Training SWAT program. / what has been your experience? I feel that TKC welcomes you. The instructors are amazing, it is a lot fun. It is a wonderful place and I always feel happy when I am there. If I had a bad day, I feel better as soon as I walk through the door. Mr. Ash, Mr. Fariborz, and Mr. Faramarz are awesome! I feel blessed and lucky to be part of their family.